The L.A.-via-Montreal experimenter drops seven personal piano meditations. 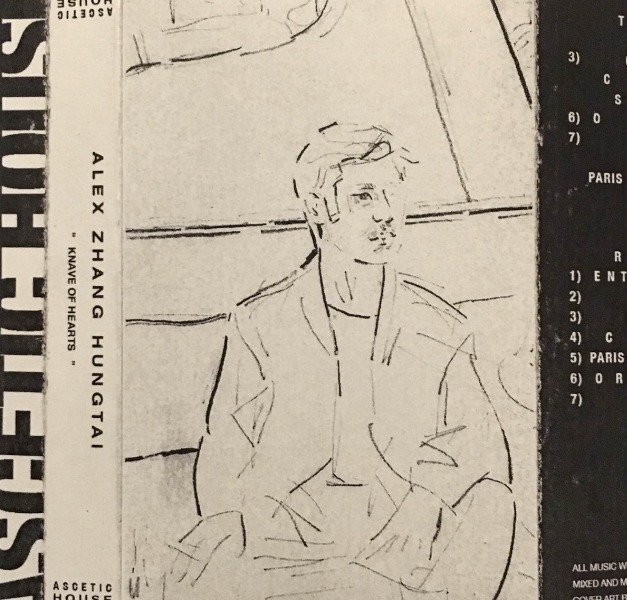 Since ending the Dirty Beaches project in 2014, Alex Zhang Hungtai has continued making sonic experiments under a new alias – Last Lizard – and his own name. Today, Huntai's shared Knave Of Hearts, seven instrumental tracks made between 2012 and 2015. The collection is almost entirely composed of electric piano and field recordings, with a three-piece suite named "Crimée" as centerpiece. On Bandcamp, Hungtai wrote, "In the form of unsent letters and postcards, the idea of 'before' and 'now' becomes irrelevant. Instead, it's a silent testament that endures the weathering and perversion of time, forever enclosed on a meridian between 'before' and now'." Listen below and buy here.